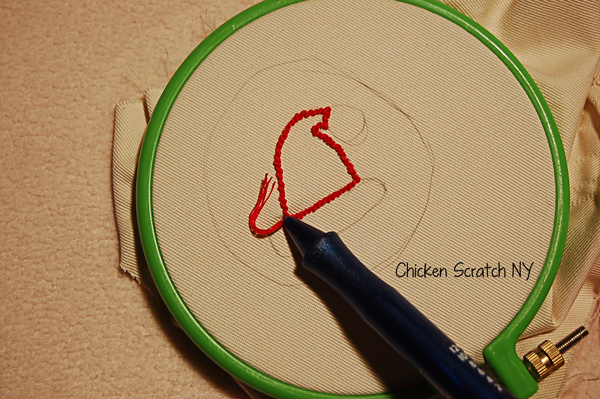 Whether you’re new to punch needle embroidery or just want a quick project, look no further! 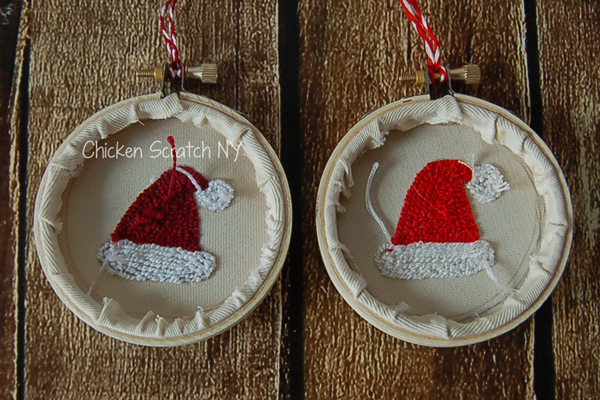 Make adorable Santa Hat Punch Needle Ornaments with this free pattern utilizing 2 loop lengths for texture. 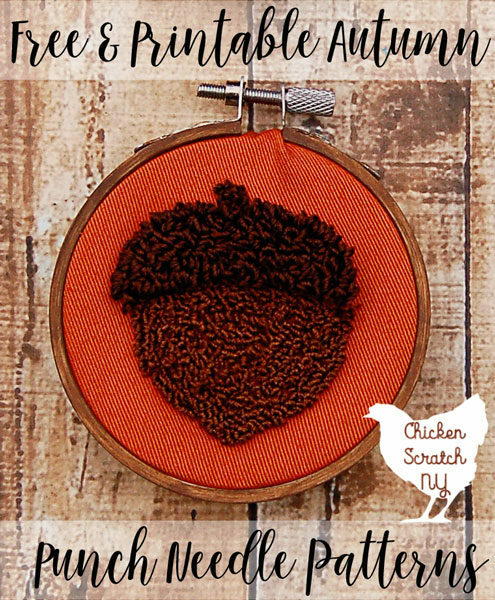 One of my favorite things to do with punch needle is take simple shapes and make them more interesting by changing up the loop size. 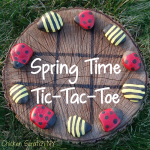 This little project is a great way to test out the technique. 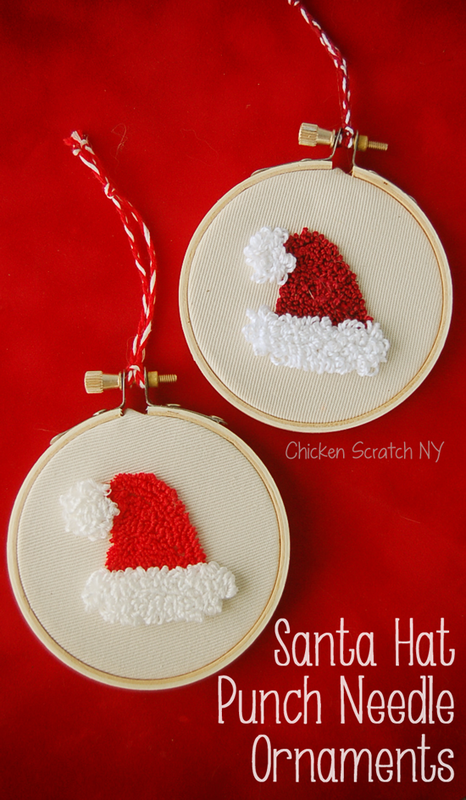 Longer loops give a fluffy look to the hat band and ball while short loops make up the rest of the hat. It’s a quick enough project that you can do a whole pile of samples playing with different loop sizes. 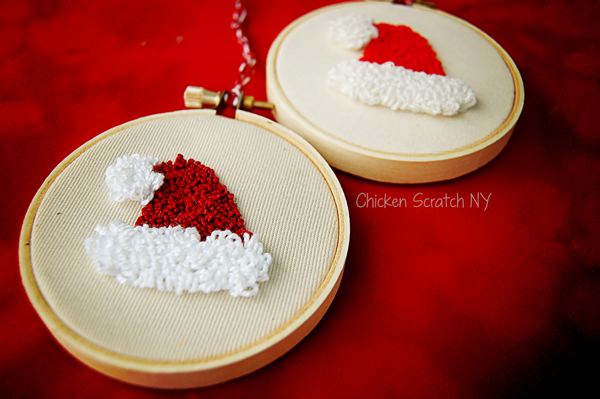 The darker hat was punched in size 5 pearl cotton and the bright red hat was punched with 6 strands of regular embroidery floss. 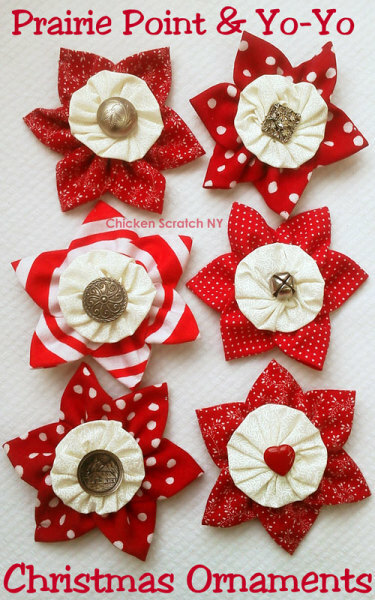 Both are from DMC and available at Joann’s and Michael’s. 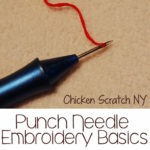 If you’re a little bit rusty check out my punch needle basics tutorial for clear instructions on threading, copying the pattern and how to punch. Also check out the three ways I rewind my floss before I start punching to eliminate knots. 12. Braid three strands of floss together and tie off the ends, fold it in half and pull the loop through the hole under the thumb screw for the embroidery floss. Pull the ends of the braid through the loop and pull tight.